Kyrie Irving Bio: 2011, the year that Kyrie Irving arrived in Cleveland as the No. 1 draft pick, was the beginning of a new era in Cavaliers basketball. Irving’s arrival came at the perfect time for the recent power of the Cuyahoga, (The County where Cleveland is located, named after the mighty Cuyahoga indians) as it followed one of the darkest seasons in the Cavaliers’ 45-year history. Not only had Cleveland lost LeBron James to Miami in free agency the year before, (when he took his talents to South Beach) but the Cavaliers had completed an embarrassing 19-63 campaign that saw them lose 22 consecutive games, a drastic fall for a team that was a perennial championship contender as recently as the previous season. 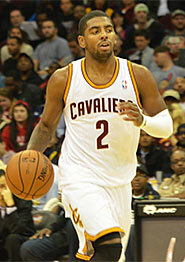 Into the void stepped the consensus top amateur player in 2011, the Australian-born Kyrie Irving. Though hampered by an injured big toe that allowed him to play just 11 games in his Duke career, the guard’s phenomenal skills were obvious, possessing the vision to find a teammate on the fly, the agility to get into position, and the marksmanship to nail an open look at the basket. Gradually, Kyrie Irving helped build the foundation to resurrect the Cavaliers from one of the league’s worst teams into a true contender for the title. The Cavaliers recognized what they had when after two seasons they inked him to a five-year, $90 million contract extension ($18 million / year) in 2014. Their faith was almost instantly rewarded. When James returned to Ohio, Irving had created the atmosphere that allowed the league’s best player to take the Cavaliers over the hurdle that stymied his first tenure in Cleveland. In two seasons alongside Kevin Love, Cleveland’s Big Three produced 110 regular-season wins, two Eastern Conference championships and the real pinnacle: bringing the city of Cleveland its first championship of any kind since 1964 by dethroning the Golden State Warriors in the 2016 NBA Finals. Kyrie’s Mother passed away when he was only 4 years old, so the responsibility of raising Kyrie fell on his dad, Drederick’s shoulders . 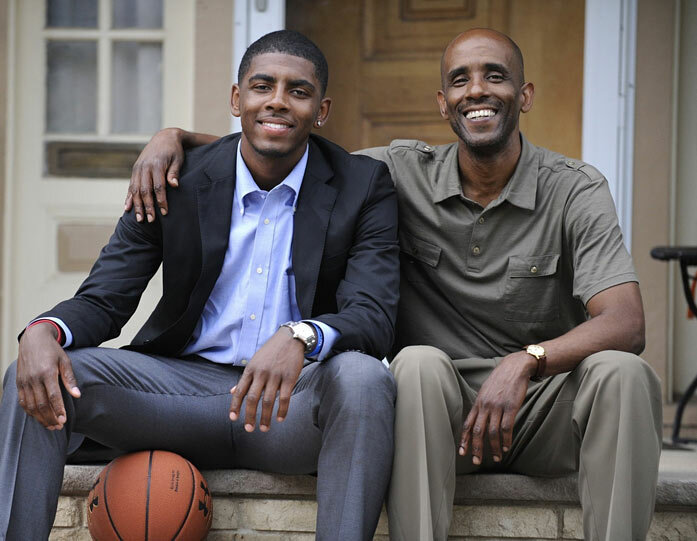 Throughout his son’s life, Drederick was never willing to let Kyrie settle for less than was possible for him to achieve, both on and off the court. For the guard from West Orange, N.J., hunger and humility are values that his father Drederick instilled in him at a young age. Whether it was in the classroom, in the home, or in the gym, Drederick always made sure that Kyrie set a reasonable goal for himself, a value that Kyrie still practices and plans to pass on to his daughter as she grows up. Often, he writes down both his goals and inspiring quotes to help guide him throughout the season and throughout his life. Kyrie Irving: It’s Gotta’ Be the Shoes! A large part of Irving’s success in resurrecting the Cavaliers has been having the right shoes on his feet. There might be no position where shoes are more critical to success than a guard in the NBA because of the need for quick thinking and decision-making; and that’s before throwing in the nasty crossover dribbles that make a guard like Kyrie Irving so difficult for opposing defenses to stop. When trying to knife through a defense to create a shot for either himself or a teammate, Irving often has to maneuver through a small window, with no more than a split-second to make his decision on which way to take the basketball before the defender realizes what he’s doing and cuts him off. Executing such a move requires a lightning-fast first step and complete trust in your shoes’ ability to hold their ground in response to the force placed on them. You might say Kyrie’s shoes are the literal foundation of his success. 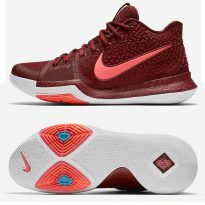 The Kyrie 3 shoe grants that freedom of motion with its pair of traction pods, giving the wearer total control over when they stop and where they stop. In the NBA, that can be the difference between creating a basket and creating a turnover. 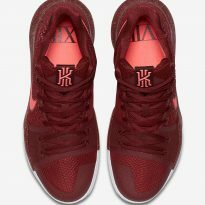 *You won’t ever find coupons for the newest Kyrie shoe release anywhere, but you might find kyrie shoes on sale, or get free shipping. 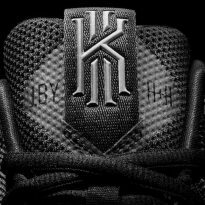 Promo codes might work towards older styles, like the Kyrie 1 or kyrie 2. 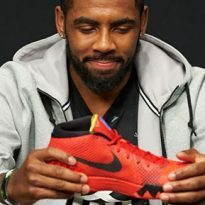 Speaking of shoes, you can’t talk about Kyrie’s NBA contract without mentioning his shoe deal with Nike. 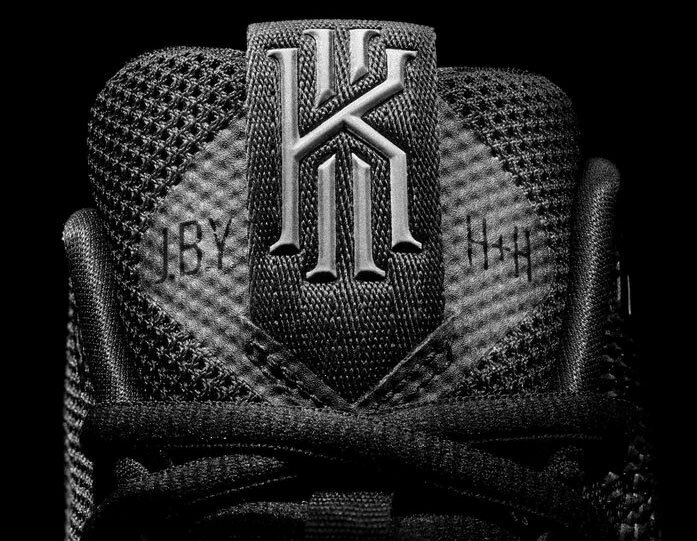 Kyrie got his own signature shoe deal with Nike, and in 2014 they released the Kyrie 1. 5% royalty on all shoe sales is standard. When the Kyrie 1 launched in December 2014, Nike sold over $7 million worth of Kyrie 1’s in just the first month after launch! Free shoes – Add in a lot of free pairs of shoes and Nike swag! 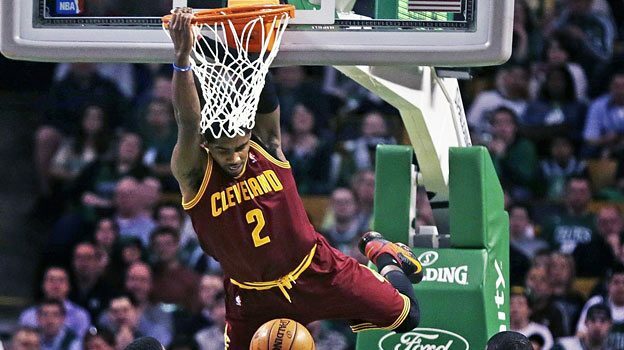 Irving’s dedication to success and hitting his goals have been evident in his consistency with the Cavaliers. 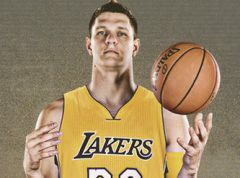 Through his first six seasons in the league, he has never averaged fewer than 18 points per game, and his free throw percentage, a mark of concentration and mental fortitude, has never been below 85.5 percent, an average that usually ranks in the top 25 in the entire league. More important to Kyrie Irving than his individual stats has been the continued upward trajectory of his team. With the Cavaliers again among the NBA’s elite franchises, Irving seems poised to continue the success that has made him one of the NBA’s most exciting and productive competitors for years to come. This entry was posted in athlete bio, athlete shoes, nike and tagged basketball shoes, cleveland, cleveland cavs, finish line, foot locker, kevin love, kyrie 3, kyrie 4, kyrie irving, lebron james, nba, nike, shoe deals on January 7, 2017 by Dan Angell. Finish Line: NIKE Roshe Sale: Sort by Men‘s, Women‘s, or kids. Up to 40% off! View On-Site Coupons at finishline.com. Most coupons also work towards sale items. All Nike Rosche at finishline.com – But don’t forget to use a promo code! Nike Roshe 1& 2 Running Shoes On Sale + Free Delivery at Finish Line! Its taken me a while to come around to the Nike Roshe, but I’ve finally become a fan. I’m not sure why it took me so long – perhaps it’s because they were too “simple” looking? Not sure; but as a professional designer, I’m personally always striving for a “less is best” aesthetic, and that’s certainly what the shoe designers over at Nike were going for when designing this shoe. Why Are they Called Nike “Roshe,” Anyway? Roshe Fun Fact: The Nike Roshe’s original designer, was named Dylan Raasch, which is pretty close to the name of the shoe. However, he didn’t name them after himself. Instead, he named the shoe the “Roshe” as a nod to Roshi, the title given to a Zen master, the ultimate expression of simplicity and calmness. Well, they obviously got the design right – they are selling like mad and there is a continual stream of new releases featuring interesting color combinations and patterns. Roshe Fun Fact #2: The original Roche Run colorway, called “iguana” green, was inspired by the moss and rocks in a traditional Zen garden. Not sure if the new “fly knit” technology is named in honor of of Mr. Miyagi, (you know, catching the flies with chopsticks?) but maybe subconsciously? Roshe Fun Fact #3: None of the 100+ “Mike Rosche’s” on Facebook inspired the design or get royalties from the sale, although at least a few of them probably own a pair of Rosh’s. So, in conclusion, “Nike” named after a Greek God, plus “Roshe” named after a Zen master. That’s a pretty intense name for a running shoe! Actually, monks are not known for running, let alone spending $100 on a pair of running shoes, so that’s not an accurate statement. I think they would prefer free sandals if given the choice. Maybe it’s just another example of the commercialization of something pure, like Christmas, or the Toyota “Sequoia,” whose terrible CO2 emissions ironically kills trees. Anyway, the collection of Nike Roshe over at Finish Line is pretty solid, and they are constantly adding new ones to the sale section. 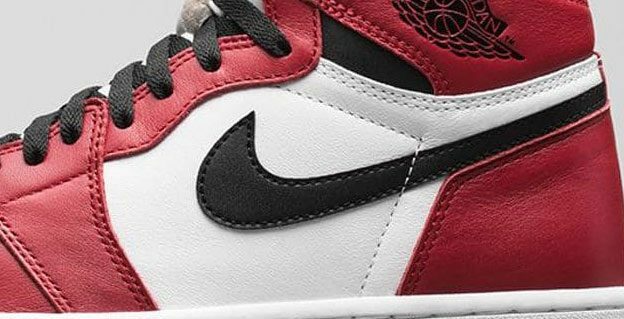 They will also frequent the new shoe release calendar, so if you are a real fan, that’s a good page to bookmark. One of the best things about the Roshe One & Two is that they are pretty inexpensive to start with, and about $20 cheaper than the Shox. With the current $15 off coupon you can get a sweet pair for about $75. Tack on free shipping, which Finish Line offers with every pair of Nike Rosche Runs, and you can get a great deal on a really great shoe. It’s that simple! This entry was posted in nike, running shoes, sale and tagged free shipping, nike, nike roshe, nike roshe one, nike roshe two, running shoes on December 8, 2016 by kevin. Finish Line: 2 New On-Site Coupons: Up to $20 Off! Nike Air Max’s on Sale – Up to 25% off at FinishLine.com. Many ship free. Nike Air Max: Free Shipping – ALL of these Nike Air Max’s ship free at finishline.com. Should combine with a promo code, too for the best price! Finish Line: All Air Max – Men, women, kids. Don’t forget to grab a promo code first! View All On-Site Coupons at finishline.com. Coupons usually work towards sale items. Nike Air Max 1: Get a $10-20 Coupon at Finish Line! The Nike Air Max has been a strong presence in the running shoe scene since it was first introduced. Featuring the distinctive Air Max cushioning unit at the heel, extremely lightweight, and a myriad of interesting colorways, the Nike Air Max sets the standard for shoes that blur the line between sport performance and casual styling. Finish Line has a great selection of Nike Air Max shoes for men, women, and kids. Some of their hot Max’s include the Premium Tape, the Nike Air Max 1 Paris, ultra flyknit running shoes, ultra essential running shoes, air max 95, air max 90, and Thea Jacquard SE running shoe. Like most popular car models, Nike is also expected to put out a new Air Max design every year, so look for shoe descriptions to incude “2016, 2017, 2018, 2019″, etc! When it debuted all the way back in 1987, the Nike Air Max 1 was an instant hit, impressing wearers with its simplistic blueprint and unmatched comfort. And to this day, it continues to attract those who want a nice blend of a clean and stylish, yet unpretentious, sneaker that can still provide the support needed for those who spend a lot of time on their feet. Nike has lately been getting creative with the colorways and materials they have been using to dress up the Nike Air Max 1, but at the core it still remains a classic, well-built and comfortable shoe. Air Max’s on Sale! Almost half of the selection of Air Max’s at Finishline.com are currently on sale – and if you do decide to pick up a pair, make sure that you also pick up one of our coupons for Finish Line as well to get an even better deal. You can see when the latest Air Max designs are scheduled on the Finish Line release calendar. 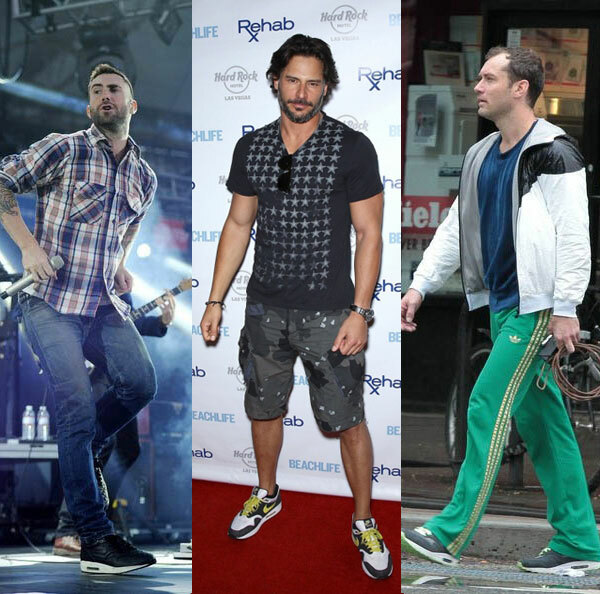 My rule of thumb when it comes to women and shoes is, “if it’s good enough for Adam Levine, its good enough for me.” I know that’s inspiring and humble, but it’s true. Ever since these shoes were first released about 30 years ago, Air Max’s have been associated with celebrity, sport and music. The first TV campaign for the AM1 used the Beatles song “Revolution,” and they were later endorsed by multi-sport athlete Bo Jackson. 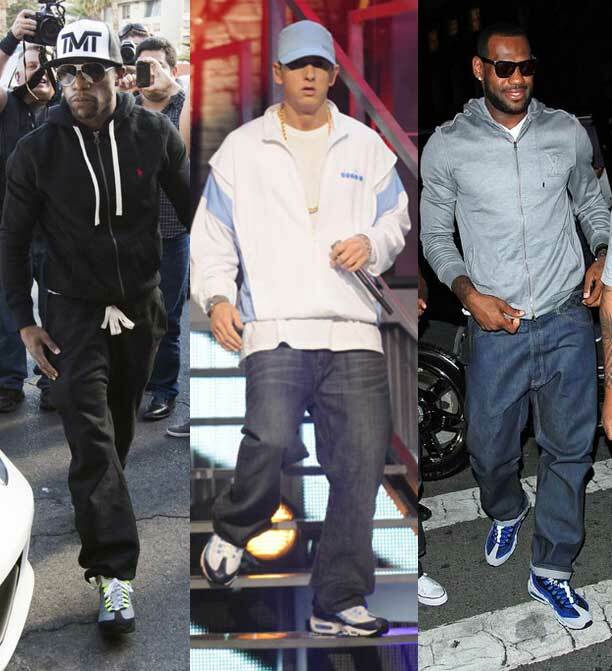 Even today, the Nike Air Force one has a great celebrity following, being seen on the feet of celebrities such as Adam Levine, Joe Manganiello and Jude Law. This entry was posted in nike, sale and tagged air max, air max 90, finish line, finish line coupon, nike, running shoes on December 8, 2016 by kevin. 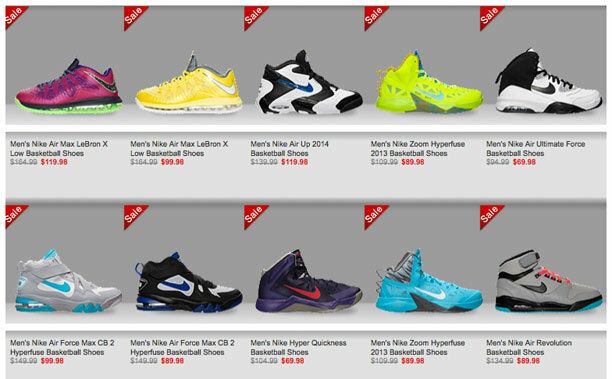 Finish Line: NIKE Sale: Sort by Men’s, Women’s, or kids. Up to 40% off! 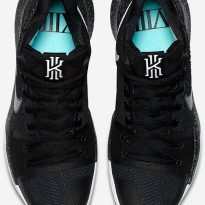 Nike Outlet at FinishLine.com – Sale Items Including Running Shoes, & Air Max basketball shoes for Men & Women! 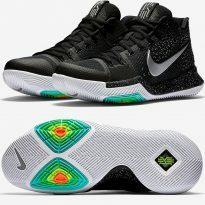 The Nike Outlet section over at Finishline.com is an awesome place to find sweet deals on some of the most popular basketball shoes on the market, such as Jordans, Nike Lebrons, Huarache running shoes, and Air Max, Hyperdunks. They also have a deal for 30% off Nike Elite socks. You can regularly find shoes up to 50% off their normal prices at the Nike Outlet! It’s like a digital version of the Nike Factory Store with merchandise added regularly – and you don’t even have to leave your couch. Sa-weet! Probably the best deal that I’ve seen at the Nike Outlet over at Finish Line is the Nike Air Max running Shoes on sale. 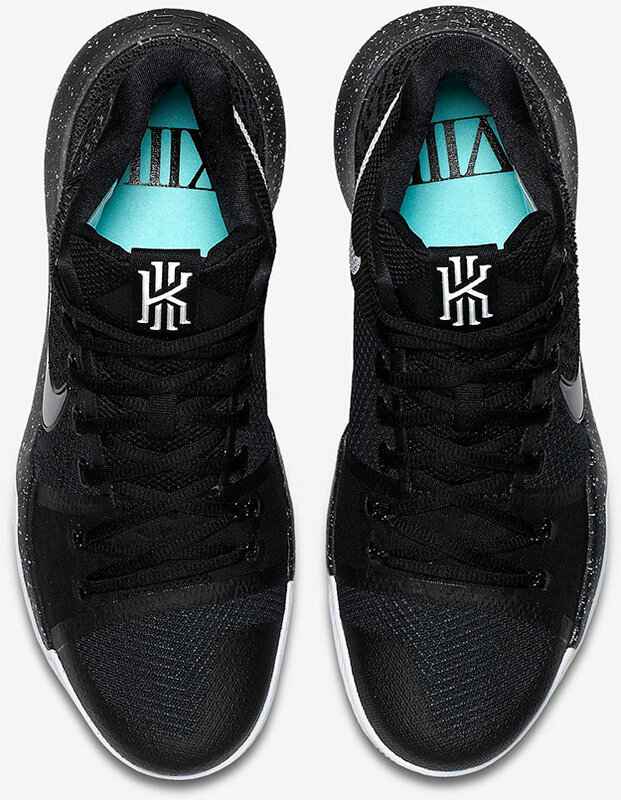 These kicks were $224.99 a bit ago, and now they are on sale for $129.98! Also look for a wide selection of running shoes for both women and men. I’m looking at the outlet selection (which changes daily) and see that they just added some basketball shoes including Kyrie 3, Nike Zoom Pegasus, Roshe One, Nike Free, and Nike Air Force 1. It’s perfectly acceptable to stack a Finish Line coupon on top of the already super low prices at the Finish Line Nike Outlet if your checkout total meets the required minimum amount. Just click over to our homepage to grab a coupon if you decide to cop a pair or two of kicks. There are hundreds of styles of Nike at finishline.com, but only some ship free. We made a separate link above to the current styles that qualify for free shipping, so check it out! 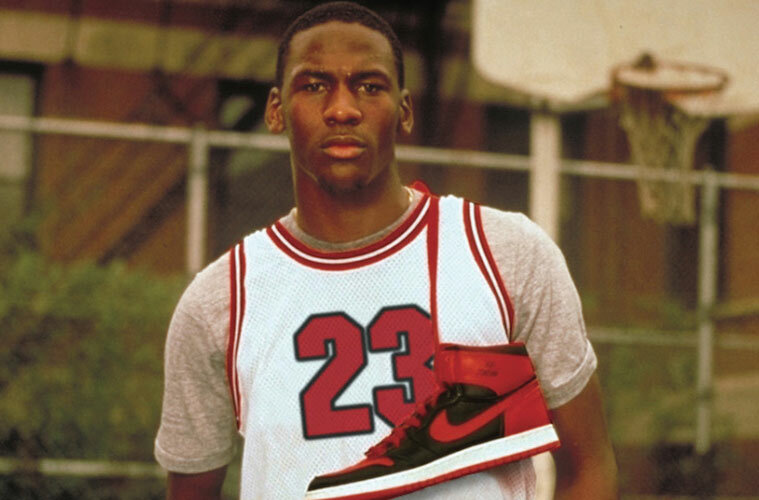 *Also, if you have a minute, you can check out the interesting history of nike here. This entry was posted in nike, sale and tagged finish line, free shipping, jordan, nike, nike air max, nike huarache, nike rosche one, outlet, sale on December 8, 2016 by kevin. New Shoe Releases at Finish Line: Mark Your Calendar! Finish Line usually posts these as soon as they hit the wire, so maybe you want to bookmark their release calendar if you haven’t already. You can also get notified of these releases instantly and earn rewards on purchases if you are a Winner’s Circle member. Need a coupon? Check out their latest featured promo codes here. This entry was posted in finish line and tagged air jordan, finish line, jordan, nike on December 6, 2016 by kevin.